Right then, I've had this kit for a few years - probably 20 - and was purchased second hand. 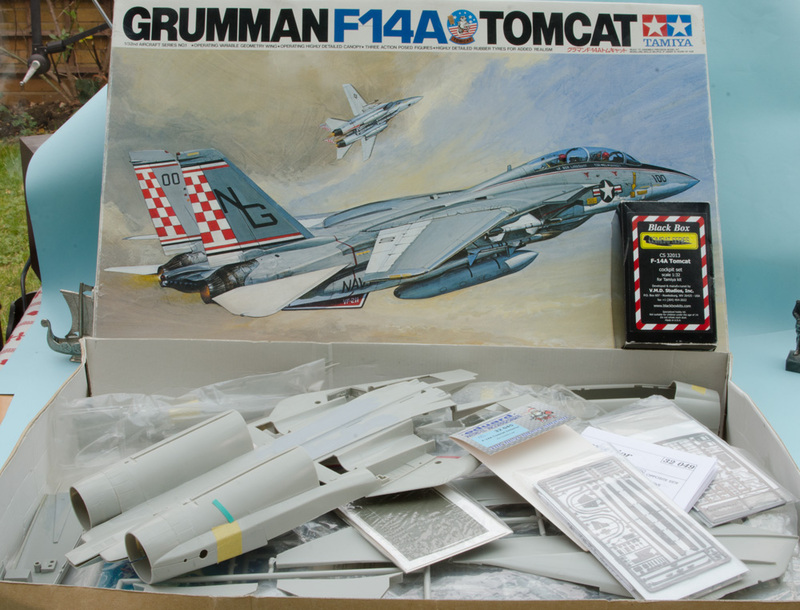 I bought my first Tamiya Tomcat when it was released back in 1981, and it cost the not insignificant sum of 460 Norwegian Kroner. That is the equivalent of around 1500 NOK today, or around £135 which is the retail price for the updated issue in the UK today. Back then, I started the kit on Christmas eve and finished it in March, in VF-84 markings that came with the kit. When I bought this kit second hand, I did it with the intention of seeing what a few decades of experience and the help of aftermarket that was not available back in 1981 would do. I have started gluing some parts together and rescribing, so it should be below the 25% ceiling...? Decals wise, I have the Zotz decals that include VF-21 and VF-111, and while I love both options, I think VF-21 gets the nod simply because I love the yellow and black colour combination and the black trim on the nose of the early VF-21 scheme. One of the issues with the kit is the way the exhaust fairings are done. 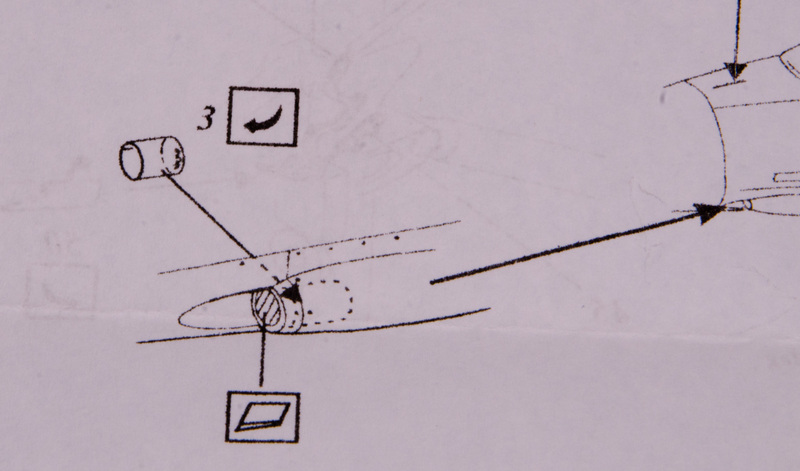 They should be circular in crossection, but Tamiya simplified the shape into more of a U-shape. To correct this I sawed off sections off a cheap and started second kit I had bought from under the tables at the Milton Keynes model show a few years ago. 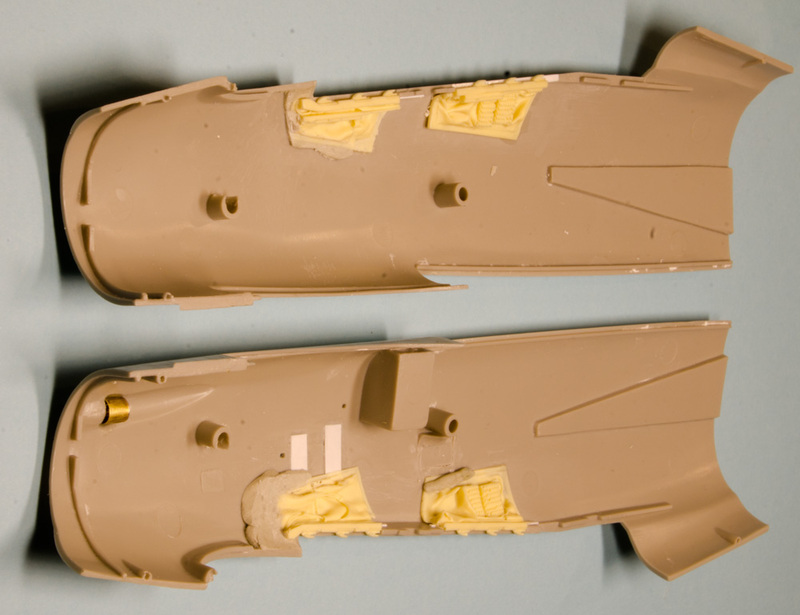 Sections were then cut off the exhaust fairings from the lower and some part of the upper as well as creating the gaps between exhaust fairings and beaver tail as featured in Tamiya's superlative 1:48th scale kit. 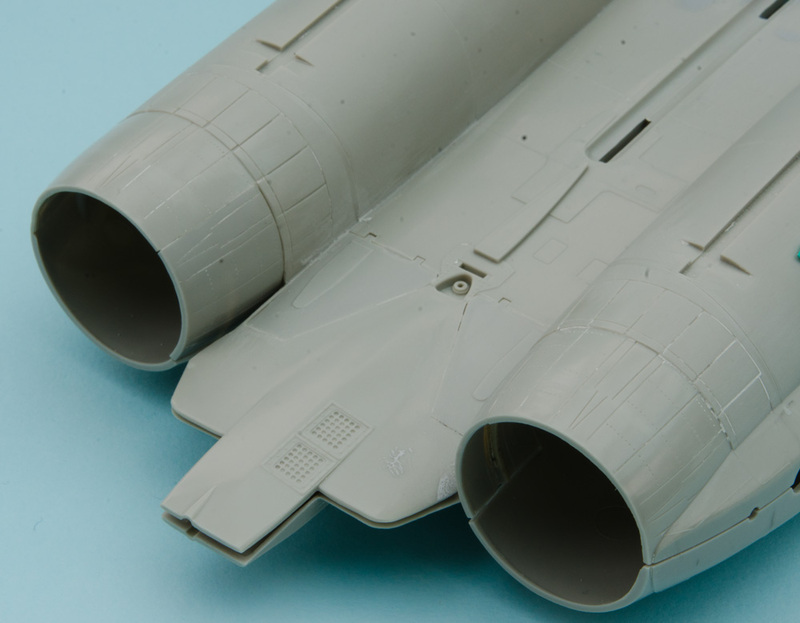 The other reason for buying that started kit was to use the afterburners to extend the too short kit ones, but then Aires released their superb resin ones. Still, that gave me the opportunity to play with another forward fuselage to try and make a reasonable representation with the 7-vent mid-breech panel. That will not be required for this build however. 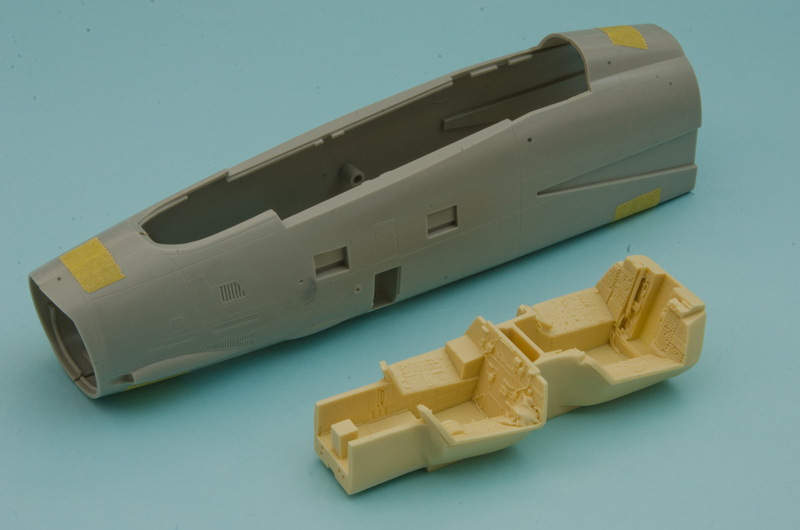 The forward fuselage has had the "armour plating" sanded off and panel lines restored. 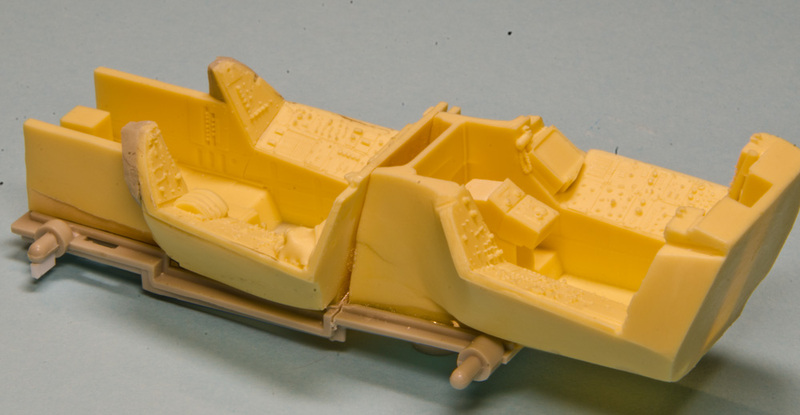 The cockpit tubs have their pouring stubs cut off and can fit to the top of the nose gear well. Excellent - was hoping to see an F-14! Good! Nice to see the old Tamiya kit get some love! Roll a piece of etched brass and then fold the circular plate and Bob's your uncle. Well, that didn't work - the brass is coated with something that the solder doesn't stick to, and the length is just exactly right to meet edge on edge. 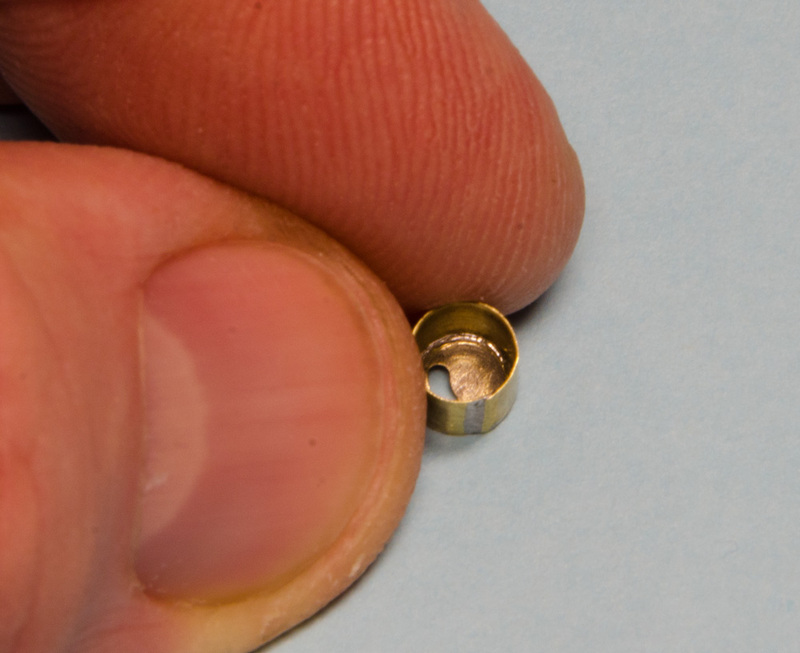 Instead, I rolled a piece of brass to be slightly smaller in diameter that thanks to the springiness of the metal, held the circular plate with the curved slot in place just tight enough for me to solder it in place. Right, the resin cockpit. I always need to fettle, sand, dryfit and repeat, which makes me wonder if the people who produce these wonderfully detailed cockpit actually test fit them to their own kits? I though I had it all set, but I realised that thefront cockpit wasn't right. 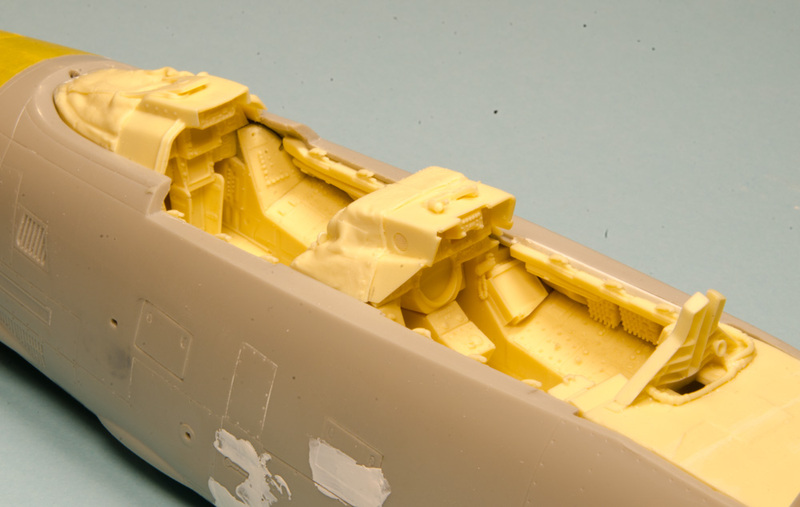 Using the instrument panel and front coaming as a datum, the lower IP should touch the sidewalls forward of the quarter panels, and the gap that the resin left shouldn't be there. Hence the Magic Sculpt to fill those gaps. Having secured the bathtubs with epoxy and superglue, the easiest option was to cut between the cockpits and into the roof of the wheel well (luckily I intend to display this in flight) to allow me to bend it up, and then add some spacers to the pegs to allow the front to sit a couple of mms higher. However, under a closed canopy with a decent paint job, I think it will look all right. 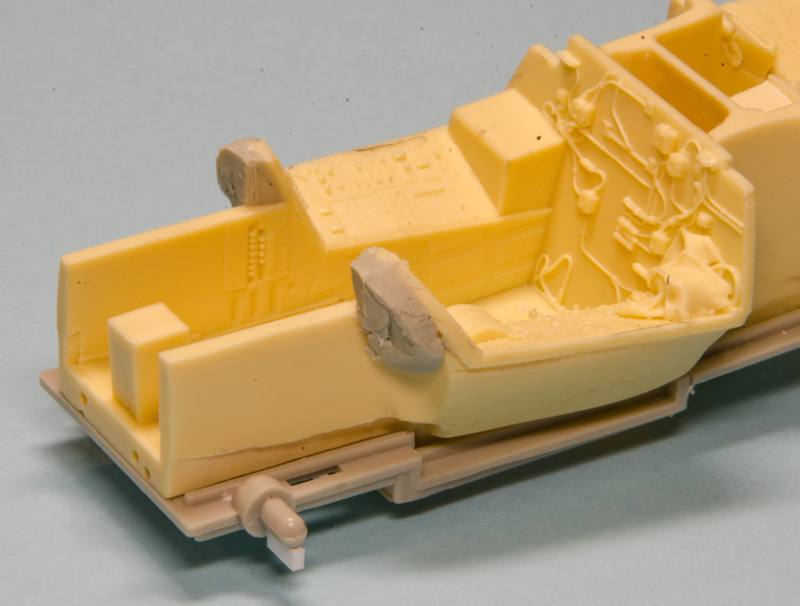 You definitely made that resin work look easy! Great start to your build.